Home | INTRINSIC WINE CO.
Winemaking and street art. For both, the artist must work with an unpredictable canvas, blending instinct and experience to craft something vibrant, gutsy and fleeting. Like the urban art that inspired it, let INTRINSIC be a beautiful reminder that art born in the city—whether on a wall or in a glass—is meant to be shared, not possessed. 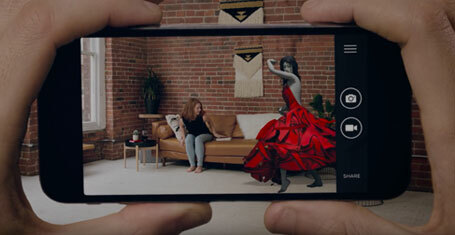 Bring the woman in red to life with our unique augmented reality app. It's easy to use with or without a bottle, and you can even record the experience to share with friends. Anyone can go against the status quo. But it takes a true artist to question and defy, yet remain respectful of the truth within. Internationally celebrated winemaker Juan Muñoz-Oca pushed the limits with INTRINSIC, pouring his intelligence, charm, and curiosity into the process. And the risks paid off. Check out our latest creation — Intrinsic Red Blend. Known only as ZIMER, the elusive Brooklyn street artist lent his artistry to our label using a technique called Wild Style. Look closely and you’ll see his name woven into the ribbon-like shapes of our seductive Lady in Red. There are currently no upcoming events. Check back soon to see what's happening with INTRINSIC Wine Co. Enter the INTRINSIC Sweepstakes for a Chance to Win!